Dust is an unavoidable consequence of living in any home. Keeping it in check means that you have to keep a consistent cleaning schedule. Too much dust can lead to eye irritation and other allergic reactions. If you have issues with dust related allergies then you’ve come to the right place. If you want to calm your inner neat freak, then we are going to help with that too. This is why we’ve got a few alternative ideas about how you can better reduce and remove dust from your home. When you think of dust, images of gray puffs hiding in corners or under the sofa might spring to mind. What you are actually seeing though are fine particles composed of soil, dead skin cells, pollen, and many more cringe-worthy things. It’s found everywhere and keeping it at bay is often a battle in of itself. Using a feather duster, which is a traditional method, can stir up these particles and move them to different areas of the room. This makes it even more difficult to truly get rid of it. We’re sharing some 5 tips and tricks that you need to know to keep the dust bunnies at bay. Normal fabric cloths are okay to use in a pinch if there is nothing else on hand to dust with. There is a better way though. Microfiber is made from polyester and polyamide. As a cloth, these materials create a dense net-like cover that traps dust and debris. This makes it perfect for removing dust from shelves and decor. 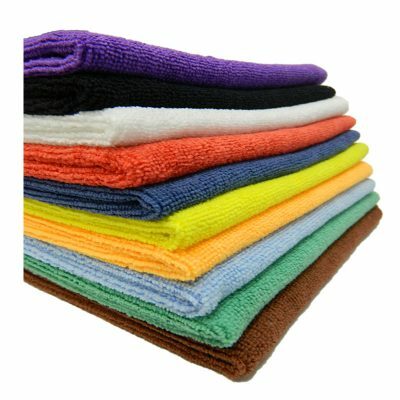 Microfiber cloths come in different package sizes and are less than $10 per pack. A doormat, you say? While this might sound like an odd tip to give, it’s not that outlandish. Dust particles are brought in from our shoes when coming in from outside. Wearing them indoors means that you are tracking dirt throughout the house. This, in turn, makes it easier for the dust to accumulate. Having a doormat reduces the amount of dirt brought in when you wipe your feet before entering the house. Doormats vary in style, material, and price. Having a doormat in each of the main entryways is one way to prevent dust from gathering around in the house. Many people may start off with vacuuming the room first to get rid of dust. While vacuuming definitely saves you time when cleaning the house, your time will be better spent using a two-step method. First, cleaning with a cloth will pick up any dust on hard surfaces. Afterwards, you do that then you can go back in and vacuum up anything that you didn’t get the manual cleaning. Curtains, blinds, and drapes are prime materials for those dust bunnies to hide. You will need to make sure that you vacuum or dust them at least twice a month. Giving them a good shake outside will also loosen any buildup. This will help to reduce the amount of dust collected on the fabric or wooden or plastic blinds. As with most fabric curtains and drapes, they will need to be laundered once or twice a year to make them fresh again. Have you ever looked behind an oven or refrigerator only to find a dirty mess behind it? It’s understandable that moving around heavy appliances in the kitchen is not on the top list of fun things to do. The space behind ovens and fridges are prime places for clumps of dust and debris to build up. This leads to a nasty surprise once it’s time to replace them. Taking the time at least once or twice a year to clean out these areas will reduce the dust. This can be done using the hose and vacuum attachments. Your vents are a prime place to trap dust and debris. This can lead to poor air quality in the home. Plus, too much dust can affect how well your heating and air units work. Taking the time to vacuum your vents once a month will work wonders to allow air to pass through. Having your heating and air unit checked once a year by a professional contractor will catch any issues before they become problems. While dusting is one of the easier chores to do around the house, there are ways to do it more efficiently. Once you have your dusting game down, you’ll find that the time it takes to clean your home is greatly reduced. Making sure that your house is dust-free will help reduce the number of irritants in the air. Best of all, you’ll be able to breath more easily in a clean home.